The seasonal scale precipitation amount is an important ingredient in planning most of the agricultural practices (such as a type of crops, and showing and harvesting schedules). India being an agroeconomic country, the seasonal scale prediction of precipitation is directly linked to the socioeconomic growth of the nation. At present, seasonal precipitation prediction at regional scale is a challenging task for the scientific community. In the present study, an attempt is made to develop multi-model dynamical-statistical approach for seasonal precipitation prediction at the regional scale (meteorological subdivisions) over India for four prominent seasons which are winter (from December to February; DJF), pre-monsoon (from March to May; MAM), summer monsoon (from June to September; JJAS), and post-monsoon (from October to December; OND). The present prediction approach is referred as extended range forecast system (ERFS). For this purpose, precipitation predictions from ten general circulation models (GCMs) are used along with the India Meteorological Department (IMD) rainfall analysis data from 1982 to 2008 for evaluation of the performance of the GCMs, bias correction of the model results, and development of the ERFS. An extensive evaluation of the performance of the ERFS is carried out with dependent data (1982–2008) as well as independent predictions for the period 2009–2014. In general, the skill of the ERFS is reasonably better and consistent for all the seasons and different regions over India as compared to the GCMs and their simple mean. The GCM products failed to explain the extreme precipitation years, whereas the bias-corrected GCM mean and the ERFS improved the prediction and well represented the extremes in the hindcast period. The peak intensity, as well as regions of maximum precipitation, is better represented by the ERFS than the individual GCMs. 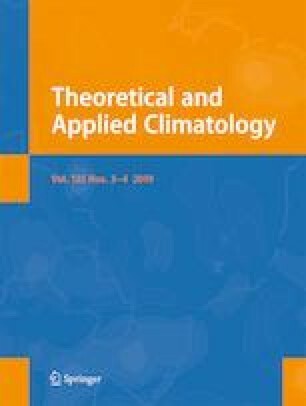 The study highlights the improvement of forecast skill of the ERFS over 34 meteorological subdivisions as well as India as a whole during all the four seasons. This research has been sponsored by the Department of Agriculture, Cooperation & Farmers Welfare (DAC & FW), Minstry of Agriculture & Farmers Welfare, Government of India, and duly acknowledged. The authors gratefully acknowledge the India Meteorological Department for providing the gridded precipitation dataset. We also thank the International Research Institute for climate and Society (IRI), Columbia University and National Centres for Environmental Prediction (NCEP) for providing GCMs output in hindcast and real-time mode. Dr. N. Acharya, Dr. K. Prasad, Dr. M. A. Kulkarni, Prof. S. K Dash, Dr. D. R. Pattnaik and Mr. Itesh Dash are acknowledged for providing their expertise in various stages of this study. We are very much thankful to the anonymous reviewers for providing valuable suggestions and comments which are helpful in the improvement of the quality of the manuscript.